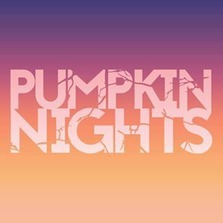 JOURNEY TO THE WORLD OF PUMPKIN NIGHTS Oct 5th - Nov 4th At PUMPKIN NIGHTS, you will venture along a half-mile walking path, where you’ll discover the Forbidden Pumpkin City, a pirate’s cove, and more fantastical lands built using over 3,000 hand-carved real and artificial pumpkins. The celebration continues with entertainment & games in Pumpkin Central, our central festival area. There's more magic around every corner. Make Pumpkin Nights Your Most Delightful Halloween Tradition. SAVE 30% with coupon code UTKIDSCLUB at https://pumpkinnights.com/salt-lake-city/?utm_source=referal&utm_medium=partner&utm_campaign=utahkidsclub Then show your valid Utah Kids Club card when you arrive to validate the discounts. Bring your camera and Have fun!